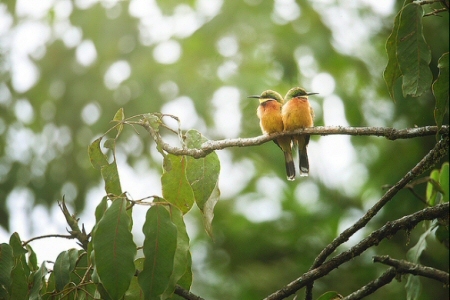 Visitors specifically interested in watching primates and birds are recommended to visit this Nyungwe National Park. This forest is filled with a great diversity of animal and plant life in its 1,000 sq km expanse. A walk within the park will reward you with great sights of primates as you make your way to the waterfalls. There are thirteen primate species among which are chimpanzee, Angola colobus as well as L’Hoest’s monkey. People interested in enjoying the bird life will marvel at the various species with approximately 300 bird species among which is the great blue turaco. 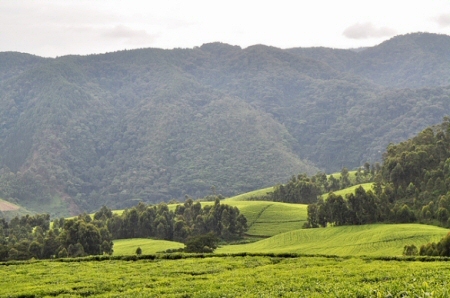 Actually Nyungwe forest is an Albertine-rift montane rainforest; this Albertine rift forms the epi-centre of the montane rainforest circle in Africa. It is characterized mainly by a number of mountain chains, starting from the Lendu Plateau found in the northern part of Uganda as well as Congo, extending south through the beautiful Rwenzori mountains, Burundi as well as western Rwanda to the isolated massifs along Lake Tanganyika’s shores. The Albertine rift eco-area is among the most endemic rich areas in Africa. It was recent that this Nyungwe forest was declared as a National Park and turned out to be the biggest high-altitude rainforest in East Africa. This was so majorly to safe guard the forest reserve keeping in mind that the areas within the Albertine rift experience the highest you know that the highest human pressure due to the high human population there. This forest covers a total expanse of 970 sq km and offers a unique habitat. This is the only place in the country having over 300 colobus monkeys living within its trees. Nyungwe forest park has about 25 % of the total primates in Africa with a record of 13 primate species. It’s a primate paradise! There are 300 bird species among which are 27 Albertine rift endemics plus 121 forest species in this park. The plant life is similarly diverse with 200 tree species of trees plus over 100 orchid species! The park prides in a broad network of trails that take you to the water falls and various view points. You willcertainly enjoy breathtaking views over this beautiful forest, the stunning lake Kivu and occassionally the Virunga. Among the primates here are: chimpanzees, Rwenzori colobus, l’Hoest’s monkey, silver monkey, golden monkey, owl-faced monkey, red-tailed monkey, Den’t mona monkey, vervet monkey, olive baboon, grey-cheeked mangabey and 3 bushbaby species. This Nyungwe National Park, extends to approximately 1000 sq km across the hills of the southeastern part of Rwanda making it the largest ‘montane forest island’ still surviving in East and Central Africa with unmatched bio diversity as well as natural wonders. There is a surfaced road connecting Butare and Lake Kivu, making it easier for visitors to easy see the resident species in this forest. This forest recently awarded status of a national park is rightly known because of its rich plant and animal diversity. Having an estimated 500 chimpanzees, various monkeys (L’Hoests monkey, red-tailed monkey, silver monkey, grey-cheeked mangabey, velvet monkey and olive baboon), 300 bird species (like the great blue turaco) plus various tree species this park is a destination worth visiting. There is a comfortably country rest house plus strategically placed campsite found near the main road, and actually from here you can enjoy cultural tours in to the nearby towns such as Cyangugu as well as Butare. 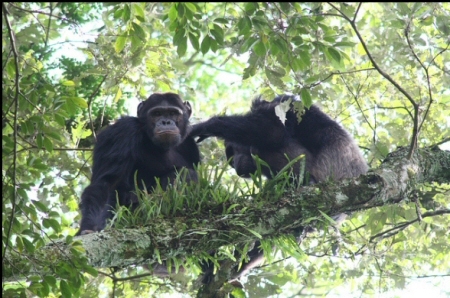 In Summary, Nyungwe forest park is ideal for short visits and is very ideal for watching primates and birds.